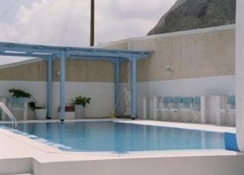 Enjoy a sun filled holiday in Santorini by booking your stay at the attractive and comfortable Aneta Hotel. The Aneta Hotel is an family run facility situated in a quiet location on the hillside with panoramic view of mountain Kamari. 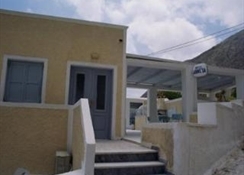 This charming budget property is secluded yet with easy access to a good range of facilities and the centre of Kamari resort on the island paradise of Santorini. The 20 charming guestrooms combine traditional decor with modern amenities. Aneta Hotel is a great base from which to discover marvellous beaches and fishing villages, a wide selection of shops, bars and restaurants and experience the most beautiful sunsets imaginable overlooking the volcano and the nearby islands. The facilities at the self-catering Aneta Hotel offer everything you need for a relaxing holiday. Food, drink and entertainment: Breakfast room, pool bar. 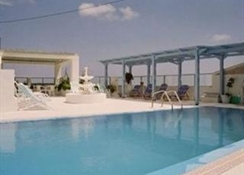 Aneta Hotel is within a short walk from all the restaurants, shops and bars of the resort. 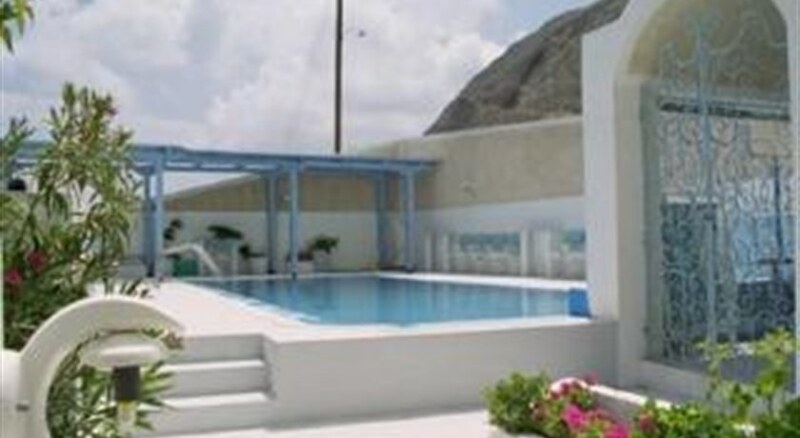 Sports, games and activities: Swimming pool surrounded by sun terrace and sunbeds. 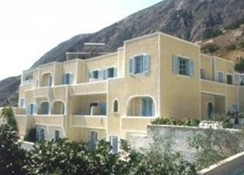 The complex is just a short walk to the sandy beach of Kamari. Additional: Reception area, fax service, safety box with charge, and parking. The Aneta Hotel features 20 guestrooms. Some rooms are with Air-conditioning (at extra cost), some with ceiling fun. 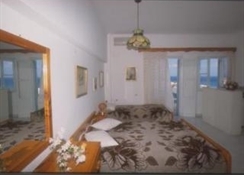 All rooms have a fridge, telephone, private bathroom, and balcony or terrace.